2019 started on a prosperous note for the Elgin Grabouw Valley, with exciting developments that have paved the way for the relaunch of tourism. 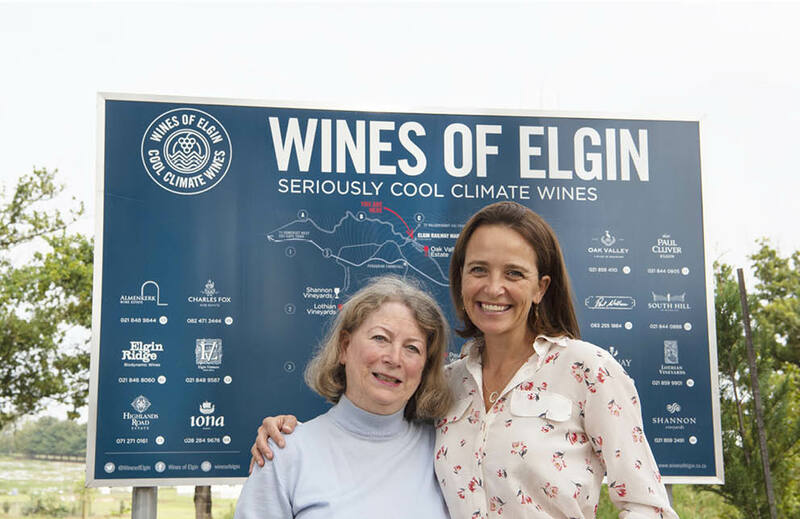 As at 30 June 2018, Elgin Valley Tourism closed, however, Wines of Elgin recognised the vital role tourism plays for the Valley and led the decision of a relaunch. Wines of Elgin is recognised internationally for its highly acclaimed and award-winning cool climate wines, and as such welcomes the opportunity of taking the Elgin Grabouw Valley Tourism to the attention of local and international visitors. Ensuring a hands-on involvement of members representing the relevant sectors in the valley, the newly established tourism body will be represented by the following committee members: Marion Smith (Chairperson and co-owner of Elgin Ridge Wines), Nicky Wallace (Paul Wallace Wines), Liesl Cluver Rust (Paul Cluver Wines), Nick King (South Hill Wines), Roger Orpen (Elgin Railway Market), Pieter Silberbauer (Trails End) and Alfra Cox, assisted by Edward Cloete (representing Theewaterskloof Municipality). The committee will be supported by a full time Executive Head of Tourism, Catherine Boome, who resides in Elgin on a family apple and pear farm. Mariaan Meyer manages the administrative tasks. The new structure and name encompasses the entire Elgin and Grabouw community, offering a broader scope of information for local and international tourists. These include all sectors, namely wines, the new Elgin Railway Market, outdoor adventure activities, restaurants, accommodation facilities – that range from authentic farm experiences, mountain bike hotels to glamping – as well as the traditional farmstalls that feature as an integral part of most passing travellers’ journey. The Valley sits within the c, a 100,000 hectare UNESCO designated home to the most complex biodiversity on our planet with more than 1,880 different plant species. The valley is approximately 70km from Cape Town, and is internationally recognised for its cool-climate wines and warm hospitality. World-class eateries, accommodation and outdoor activities which add extra appeal to visitors. The region rewards visitors taking a meandering trip off the beaten track to #experienceelgin in all its beauty. There are plans in place for an on-site office, but for the interim the committee feel it would be the ideal opportunity to put their innovative ideas to the test.